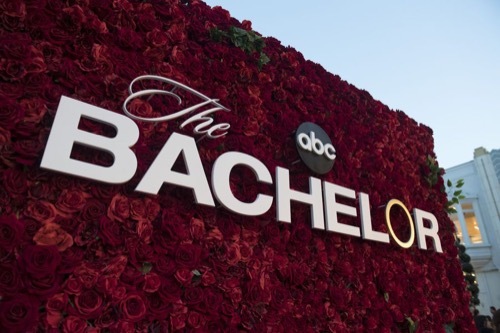 The Bachelor 2019 airs on ABC this evening with an all-new Monday, February 11, 2019, season 23 episode 6 and we have your The Bachelor recap below. On tonight’s The Bachelor season 23 episode 6 as per the ABC synopsis, “Oneyka and Nicole’s shattering showdown continues as Colton tries to find an escape from the ordeal. After the rose ceremony, the remaining bachelorettes travel to the lush, tropical paradise of Vietnam’s Cam Ranh coast. The first one-on-one date is captured by a woman, who has magic chemistry with Colton. We will be live blogging tonight’s episode of The Bachelor 2018 and you just know there is going to be tons of drama, cat fights, and tears. So come back tonight between 8 PM – 10 PM for our live The Bachelor recap. While you wait for our recap make sure to check out all our The Bachelor photos, spoilers, news & more, right here! Tonight’s The Bachelor recap begins now – Refresh Page often to get the most current updates! On tonight’s episode we pick up from the last episode when Onyeka and Nicole were arguing and Colton walked away. Chris goes to find Colton on the beach who tells him that he is not here to see women through each other under the bus. Meanwhile, the argument continues, Chris comes in and announces it is time for the Rose Ceremony. Colton says that the night has been hard and emotional, but he will continue to follow his heart. In the end, Colton does not give a rose to Onyeka or Nicole, they are both heading home. The women are really happy to be in Vietnam and to have the drama leave with Onyeka and Nicole. The first date arrives, it is for Hannah G. and it reads, “we really knead this date.” Some of the women are jealous, they realize that the home town dates are two weeks away which doesn’t give them much time to have a one-on-one. Colton picked Hannah G. because she made the best first impression, he is smitten with her. They start off with a message. The get really intimate, during the massage, the mud bath, and the shower. At dinner, Colton and Hannah G. both open up to each other about their families and he gives her the rose. Meanwhile, another date card has arrived. Cassie, Heather, Tayshia, Caelynn, Katie, Hannah B. Sydney, and Demi. The card reads, “are you ready to fight for love.” Kirpa is thrilled, her name was not on the group date card. It is time for the group date, Colton tells the women that today is all about challenging themselves physically and mentally. After a warm-up, the women are teamed up to spar with each other. Sydney and Heather are first and it’s hilarious, there is more screaming than there is hitting, Chris says it looks more like they are dancing and the rest of the women are laughing. Hannah B. and Cassie are next, with these two there is more giggling. Demi and Katie are next, these two are serious and it has to be broken up for fear that Demi gets seriously hurt. Time for the after party, Colton starts by taking Tayshia to the side to see how she is doing. He reassures her that he wants to continue to get to know her. Its Katie’s turn, she tells him her biggest fear is being misunderstood. It is hard for her to show her emotions because she doesn’t want them to be taken away. She starts to cry and tells him that she doesn’t want to go him with him thinking that she didn’t try. The two hug it out, but the passion is not there like with the other girls. Colton spends some time with Hannah B., he tells her he could tell she was having a great time during the group date. Meanwhile, Sydney is frustrating, she finds that Colton doesn’t look at her, but right past her. She asks him right out if there is a reason why he hasn’t chosen her for a one-on-one, he says no, he is still trying to navigate this whole thing. She asks him if he thinks he can go further with her, he says that he wants to try. He hugs her, again no passion. Next Colton is with Demi, she admits she is not tough and athletic, she is soft and sensitive. Demi asks if they can call her mom together, she just got out of jail. The call goes good, Demi is really emotional, Colton kisses her. Sydney talks to Colton again, he tells her that he doesn’t have it figured out. She tells him that she is at a crossroads because she is looking for something magical, and she doesn’t think that they can get there and she is going to go home. Colton is clearly upset, he tells her that he is upset but he will walk her out. Its hard to leave, but Sydney knows that Colton is not letting her in. Sydney tells him there are some really magical people there, don’t get distracted by shiny things. Colton goes to sit with the rest of the women and tells them that Sydney wanted to leave because she felt that she wasn’t being challenged enough and he wasn’t opening up enough. Colton reaches out and grabs the rose, he gives it to Tayshia. The next day its Kirpa’s turn to have her one-on-one date with Colton. Kirpa is also worried about her relationship with Colton, she knows this is a make or break date with him. After breakfast the two head on a boat and go scuba diving. Its evening time, the two sit down to dinner. He starts to talk about her previous engagement, she was together with someone for eight years, and he was holding himself out for marriage as well. She says they got so comfortable with each other that they were not growing and ending it was the best thing for both of them. He asks her if she can see herself engaged again, she says 100% yes if they keep progressing with each other. Colton reaches over and takes the rose, he tells her that he had a lot of fun and is so excited to see where things go, he gives her the rose and they kiss. Meanwhile, Demi has done her hair and makeup and she heads to Colton’s apartment, she is determined not to leave Vietnam with Colton still a virgin. She says she is checking on him because she knows the night before was hard. She tells him she is so happy and confident about their relationship, and now she feels like she is falling in love with him and just wants to take time for her to fall. Colton tells her that she continues to make him feel special, it brings out emotions in him because he thinks about her a lot, but right now he doesn’t know if he can see himself with her at the end of this. And, after hearing what she has to say, he doesn’t want to put her through another rose ceremony. Demi is speechless, Colton hugs her and tells her that she is incredible and she is going to make someone very happy. Colton walks her out and gives her one last hug. Chris meets the women, tells them that Colton has decided that there will be no cocktail party, he is going straight to the Rose Ceremony. Colton gives the first rose to Hannah B., then Caelynn, Cassie and the final rose goes to Heather. This means that Katie is going home. Colton goes back to see the final women and tells them that Katie was the third person to tell him there were still girls not there for him. Tayshia thinks she knows who they were taking about and she thinks Colton needs to know.